The Exclusive Chris Reeve Small Sebenza 21 Carbon Fiber with Insingo Blade for the Left Hand comes from Chris Reeve Knives of Boise, Idaho and is sold exclusively by KnifeArt. There's no need for southpaw knife-users to feel left out any longer, because this knife is made for lefties. The insingo blade is made of Stainless S35VN Steel with 58-59 Rockwell hardness and a fine stonewashed finish. The blade is just short of 3 inches in length, but it performs consistently like a winner. The insingo blade shape designed by Rodney Connelley and Chris Reeve has a blade thickness of 0.125 inches. The finished product is lightweight and elegant, but also a tough performer you can always count on. The handle of the Small Sebenza 21 is made of 6Al4V Titanium on the lock side and carbon fiber on the front side. Machine lapped on both sides for a flat surface, the handle has been lightly blasted, but it still retains the weave pattern of the solid carbon fiber. Users will appreciate frame lock mechanism, an innovation that Chris Reeve pioneered himself. The knife is easy to open and close with the left-hand thanks to the frame lock construction and the titanium thumb lug. 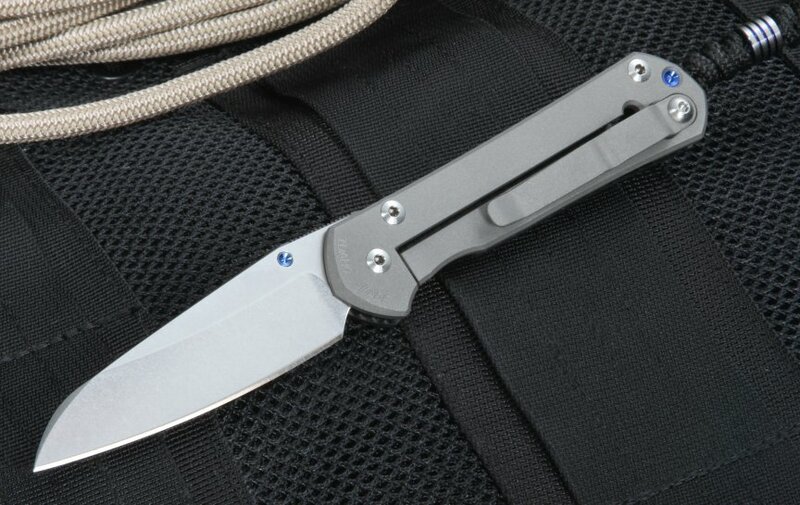 The Sebenza 21 includes a blasted titanium pocket clip, a black cord lanyard and a machined and anodized titanium bead. The full size of the knife is 6.875 inches long, and it weighs just 2.3 ounces. 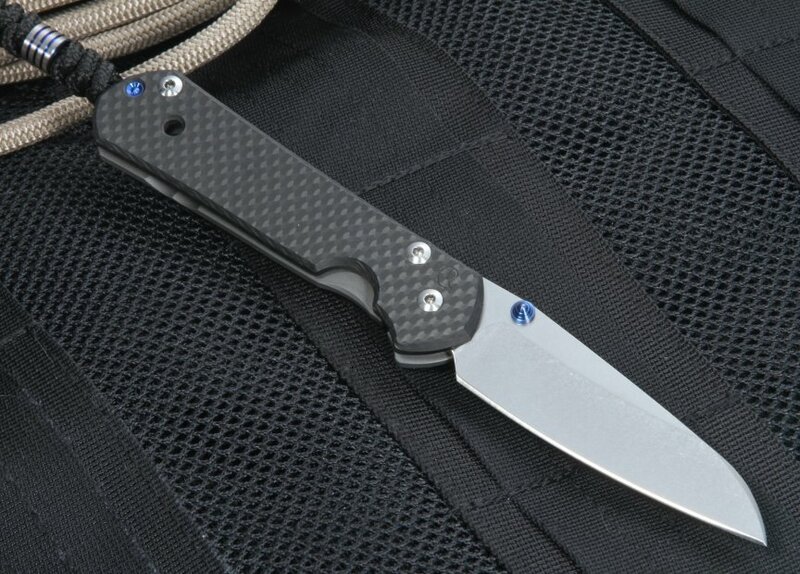 KnifeArt offers the Chris Reeve Carbon Fiber Small Sebenza 21 with free shipping. The order is processed the same business day it is received, and customer satisfaction is guaranteed. 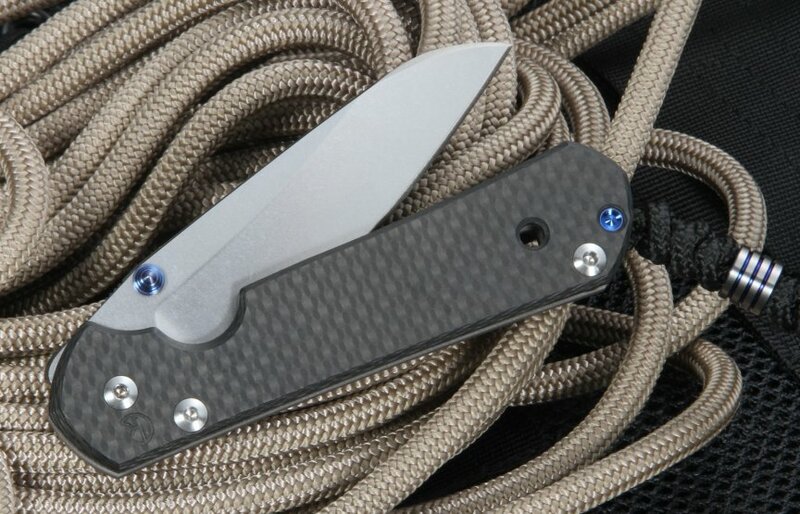 The carbon fiber small sebenza 21 comes with a hex tool, grease, attached lanyard/bead, chamois cloth and paperwork. My first Sebenza and everything you've read is true. I could stop there, it's not as though the internet needs another review by a CRK fanboy. As you expect, the fit and finish is exceptional. It's very tight when you receive it, which will come as a shock to those moving on from Spydies and Benchmades (like me). If you want a quality left-handed, titanium lockback with carbon fiber, there aren't many options. So, the carbon-fiber KinfeArt version ticked all the boxes. I had a Sebenza in and out of my shopping basket for 48 hours, and I have absolutely no regrets. The service from KnifeArt was excellent, it's reputation is well deserved. The knife arrived in South Africa within four days via FedEx (four days to clear customs, 20 per cent of value payable to FedEx) Worth it for me as CRKs, especially LH, are difficult to find here (surprising since Chris Reeve is from here originally) . And there's still a saving. As for the knife, I'm no expert but let it wear in. It's thumb-achingly hard to open on arrival and I was a little underwhelmed. Open and close it a few times (well, 400 maybe) and the lock bar retaining ball will wear into the blade retaining hole. It is a quality piece. If you love knifes you have to own one at least once, right? I'll certainly use KnifeArt again and suspect, my first Chris Reeve won't be my last. I own around 20 CRK's... and this small sebenza 21 insingo with carbon fiber may be my favorite! I think this is THE best EDC blade that money can buy... size... lightweight... blade shape... CRK perfection!! Thank you KnifeArt for thinking of us lefties and allowing us to have access to some of these dealer exclusives! Don't hesitate picking one of these up!! Just received my first knife and exclusive CF Small Sebenza from Knife Art, and I'm impressed on how much lighter the knife is compared to the original titanium version. I was concerned with the carbon fiber flexing, but there is none! I was also equally impressed with Knife Art's fast shipping and service. Both knife and dealer come highly recommended. Thanks again! As a lefty i love CRK, I also have the drop point CF sebenza and the Insingo blade makes a great edc. useful, light and well made. I've been on the hunt for this specific configuration for quite some time now. I have owned all of the most popular "Mid-Tech" knives out. Without naming the brands, I will say that a CRK is the ONLY brand I have yet to Part with. Name a brand that has the warranty, quality and simplistic function all knife-minded people want...CRK fits the build. Being left handed, I love the fact that I could find a Small Sebenza for everyday use. I work in law enforcement, and have no issues using this reliable blade on a daily basis. This specific model is only 2.3 ounces! What's even better (for me) is the blade profile. It puts the natural cutting motion inline while you cut, without the need of adjusting your hand (genius really) with plenty of belly to spare. Obviously coming from KnifeArt, you get great customer service, same day shipping and an awesome patch (thanks btw). If your looking for a small practical, lightweight, usable blade then look no further.